For people who use makeup, one of the trickiest things to do is to select the right kind of foundation. Each skin type is different. You can have dry skin, oily skin or even acne-prone skin; hence, choosing the right formula for yourself tends to get very difficult. We all know that there are ample types of foundation out there. Some of them include liquid foundation, mousse foundation, and one of the most popular, the powder foundation. However, which is the best powder foundation? Powder foundation is best for those who have normal, oily, acne-prone, sensitive and a combination type of skin and need something that does not make them feel heavy. One of the biggest benefits of it is that it does not have pore-clogging effects or leave you with a greasy residue since there aren’t any oils and emollients. Powder leave you feeling dry and absorb the oil well to reduce that extra shine. Now for the difficult part. We all know about the plethora of options available on the market for powder foundation. 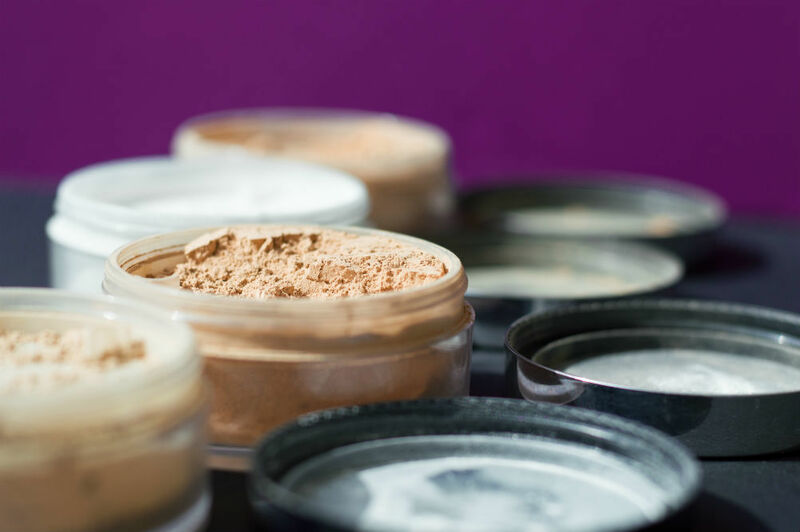 It can get very confusing to know which one to buy; thus, to make the selecting process a tad bit easier, we will review three of the best powder foundations. These powder foundations came from well-known brands. We discussed each of their features and summarized their pros and cons. Mineral Fusion is a popular makeup brand that is known for their high-quality makeup, and it is said that this pressed powder foundation lives up to same high standards. As such, they ascertain that you will get full and flawless coverage when you use this powder. The powder consists of silky, triple milled minerals that will provide you with buildable coverage for a smooth skin tone and will conceal all of the fine lines and pores. In addition to doing that, it will also preserve your natural glow, give your skin a soothing feeling, and protect it from radical damages. That is because the active ingredients include cucumber, licorice root, aloe vera, red tea, white tea, vitamin C, vitamin E, and pomegranate. This powder is also free from paraben, gluten, talc, artificial coloring and synthetic fragrance. Hence, unlike other powder foundations that use chemicals in it, this foundation is completely toxic free. In fact, it is 100% vegan and hypoallergenic too. The most important of all, this powder foundation is available in 14 different shades. So, no matter whatever your skin tone and type is, you are likely to find something that suits your skin the most from their range. This product is sold in a beautiful pink and compact container that has a mirror attached. Each contains 0.32 ounces of the powder foundation. Makeup lovers often label NYX Professional Makeup as an affordable yet an amazing makeup brand, and this powder foundation is nothing less. This brand is the perfect drugstore makeup, and their powder foundation offers fantastic coverage, especially on days when you want to wear minimal makeup. Several powder foundations tend to be either too cakey or too orange or just do not provide you with enough coverage. However, that is not the case with this foundation. The powder itself is extremely soft and very silky to touch. It is also a lightweight foundation and has a buildable coverage to give you a natural matte finish. This foundation is particularly great for people who have uneven skin tones or have too many blemishes all over. Altogether, there are 30 different shades you can choose from. Although the foundation comes with a sponge, if you are looking for lighter coverage, then select a powder brush to sweep the powder all over your face lightly. As per its packaging, it is sold in a black compact container with a mirror. This contains 0.26 ounces of the powder. checkThe sponge that comes with the foundation does not work very efficiently. It tends to soak all of the powder rather than just holding it and makes it very difficult to blend it across the face. Maybelline New York is another player from the makeup industry that is extremely famous and known for their high-quality products. They also have different kinds of foundation, and this matte plus poreless is one of it. This powder is ideal for people with normal to oily skin. It can make your skin look perfect with a matte effect and make it appear poreless for up to 16 hours because of the blurring micro-powders. It has perlite mineral technology that does the job of absorbing all the oil from your skin to keep it looking matte throughout. The powder is pigmented enough and gives a medium to full coverage. Since the texture of this powder is quite smooth, it is easy to apply it all over and blends easily too. In terms of the shades available, there are 11 of them that you can choose from. Unlike the two, 0.29 ounces of powder is placed in a square, black container with a mirror attached. Powder foundations are a great way to get rid of the oils and give a matte finish on the face, and these three best foundation powders we have reviewed will not just do that but also make your skin look flawless and bright. Each of them is fantastic and will work great. Nonetheless, we have to pick the Mineral Fusion Pressed Powder Foundation as our favorite as it is made with natural and allergen-free ingredients.